BEAUTY, HEALTH AND YOU ! Only for you, so that you can build up your confidence,stay healthy and do some self pampering. Most of us have the problem of excessive sweat and body odour. Here is how you can deal with it. 1. Squeeze a lemon into a bucket of water and then take a bath with this water. 2. Use a soap that contains lemon extracts. 3. Scrub a lemon on you face and then wash it off after 10 minutes. Doing this will remove the dullness from your face. 4. You can also scrub the lemon on your armpit at night and then leave it and take a shower in the morning. This will reduce the ph level of the armpit and hence will result in reducing the sweat and overcoming the body odour to some extent. 5. Other than this, use a strong antiperspirant deodorant and more importantly apply it on your skin and not on your cloths. 6. Drink enough of water and stay hydrated. 7. Use an umbrella whenever you go out in sun. 8. Include fruits in your diet. 9. Avoid hot drinks like tea or coffee. Whiten your teeth in four days! How to whiten teeth ? 1. Take appropriate amount of toothpaste in a small bowl. 2. Mix turmeric powder to it. 3. Now brush your teeth with this mixture. 1. You may also mix a pinch of soda to the mixture to enhance it's effect. 2. After brushing your teeth wash it thoroughly with water and then use listerine mouth wash. Thought turmeric is best known for staining just about everything else in sight, it actually removes stain from teeth and lightens overall tooth colour. But the fact is, the mechanism behind turmeric is still a mystery. Turmeric has many medicinal properties because of the chemical found in it called curcumin. Turmeric is a spice that can kill germs, fight infections and reduces swelling and pain. Turmeric is also essential for dental issues such as, tooth ache, gingivitis and sensitivity. How to reduce hair fall using onions? 1. Onion - 1 medium sized. 1.Chop the onion into 4 pieces. 2.Grind them in a mixer grinder and make a paste of it. 3. Apply it on your scalp. 4. Leave it for 30 minutes. 5. Rinse/wash your hair with water. 1. Do this thrice a week for better results. 2. You may use shampoo to wash your hair in case the onion paste doesn't removes properly. (recommended : use dove shampoo. Just click on the picture to buy it). 3. Don't comb your hair immediately after washing it. 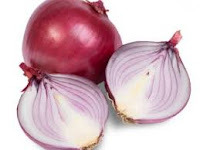 Onions contains organic sulphur compound, which is contained in a volatile oil, that provide health benefits and helps in recovering the damaged cells, hence reducing hair fall and promoting it's growth. How to get silky hair at home? Click on the picture to buy it. 1. Blend all the ingredients and and make a smooth paste. 2.Apply the paste on you hair from root to tips. 3. Leave it for 30 minutes. 4. First wash it off with water. 5. Then use a shampoo. 1.If you hair is too long then double the quantity of each ingredient. 2.You may use a shower cap to cover your hair while the paste is applied to it. 3.Don't comb the hair immediately after washing it. Banana has all the essential elements required for conditioning and providing health to your hair and adding honey and coconut oil acts like an enhancing ingredient making your hair smooth and shiny and conditioned. 1. Grind 200 gram of masoor daal in a mixer grinder until it becomes powdered. 2. Take 2 tablespoons of that powder and mix it with 9 - 10 tablespoon of milk. 3. Mix them well untill the batter becomes like a smoothie. 4.Apply it on your face and neck. 5.You can also apply it on your hands and food. 6. Wash it after 30 minutes. 1.Mix a little extra milk if the batter is too thik. 2.Use it daily for better results. 3.Apply it on your hands and legs also so that you get an even toned body. 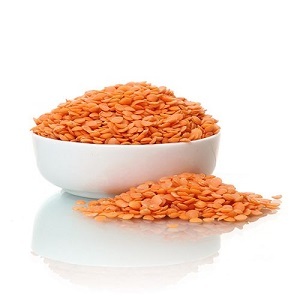 Masoor dal has pigments that helps in clarifying the skin and also helps in removing acne and pimples and when it is mixed with milk it shows the best of the results. This method works well but you have to keep patience. It will definitely show results. The process takes time which is obvious. Visible results in 15 days of regular use. 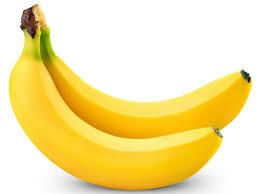 How to get glowing skin using banana? 1. Peal the banana and keep it aside. 2. Blend the banana in a mixer grinder like a smoothie. 3. Apply it on your face (except the eye area and lips). 4. You can also apply it on your neck and hand. 5. Leave it for 15 -20 minutes then wash it off with water. 1. Use it everyday for a fresh look. 2. The banana peal's inside part can also be used as a scrub for you face. Banana is rich in iron, potassium and vitamins that gives a punch of freshness to your face and helps in curing pimples and maintains the oil balance of the skin. Do let me know how useful it was for you in the comment section. How to get glowing skin using honey and lemon? 1. Mix them in a bowl. 2. Apply it all over your face (except the eye area and lips). 1. Don't rub your face with towel, instead just pat dry it. 2. Use it twice a week. Honey, when mixed with lemon, acts as a natural bleach , which is much similar to the bleach that we use in general. And so it gives a natural glow to the skin, without harming your skin.